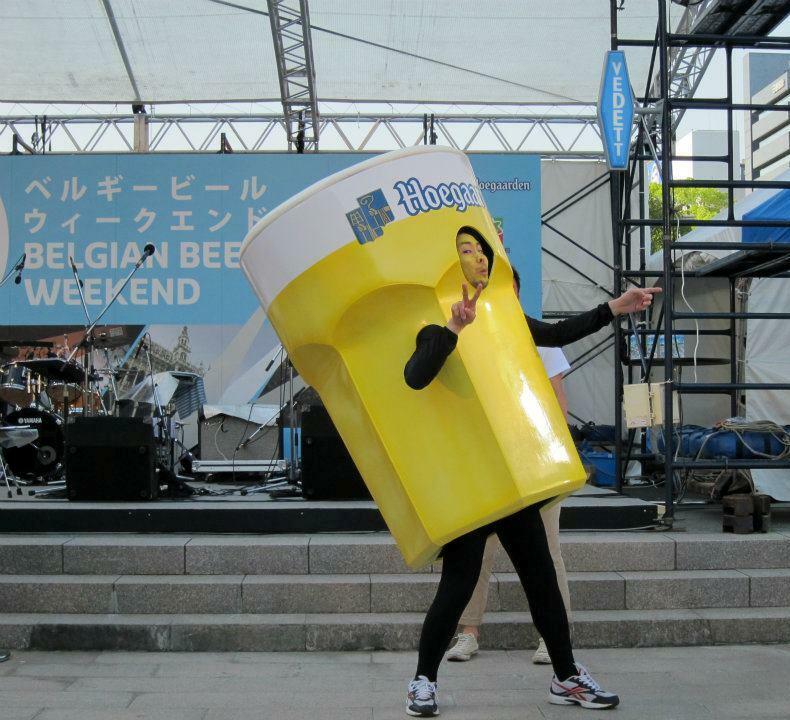 This entry was posted in Japan and tagged Beer, Belgium, Festival, Food and drinks, Nagoya, Strange Japanese things by Haruko-chan. Bookmark the permalink. Years ago I used to frequent a Belgian beer bar in Harajuku which was a side business for a Tokyo-based concert promoter. One year they delivered to my nearby office a set of six beers with matching glasses as a summer “ochugen” gift for me as I was such a dedicated regular (and we dealt with them in their main business). ^^ Most of the glasses broke but I still have the ones for Hoegaarden and Leffe. I love the special glasses too! It’s such a beautiful sight to go to a beer bar and see all the different glasses lined up. Did you know that the shape of the glass is often designed to enhance the taste of the beer? Yes, when I visited my friend and her husband in Brussels years ago, they took me around to try local breweries and every time we would have a different beer, we would have a different glass and I was told the glasses were designed in such a way that it made the beer taste better.